The other day I had a really interesting conversation with a friend of a friend. Somehow, we got onto the topic of manifesting things in your life. His story became more and more interesting as he shared how he manifested the most random things. As an example, he decided he’d try manifesting a pink elephant toy. A little odd, I know, but he wanted to try something absolutely bizarre as he’d had such good luck in manifesting new work and a new relationship. He gave himself 5 days to manifest a pink, elephant toy. He told his Mum what he was doing and she decided to go searching for a pink elephant toy. Although this technically isn’t what manifesting is all about, there were no pink elephant toys to be found. By the fifth day, there was still no site of the toy. BUT THEN, he received a phone call from his Mum. Because as she was hanging out the washing on the clothesline, she noticed the neighbours child playing in the sandpit. Next to her, sat a pink elephant toy. Yes, this may be a bizarre system to attract things into your life but it shows the power of manifestation. Every thought we have creates an energy flow within and around our physical beings. This energy attracts its likeness. So, if you’re thinking “I rock”, then your energy will rock, which in turn will attract you to awesome experiences. Isn’t it funny how the world works? Your thoughts and your energy create and shape your reality. You may not know it, but you have the ability to attract greatness to you. Get honest about your low-level thoughts, energy and feelings of disbelief. These block you from revealing what you desire – clear the blocks and it’ll create space for the positive manifestation to occur! Clarity is key. Have clear intentions of what you desire. Focus on what you desire and then make a list of all that goes along with it. Be clear on how you feel and on what you desire, and how what you desire will make you feel. Spend time thinking, feeling, believing your intention. Whether that’s through meditation, exercise or spending time outdoors. The more you feel the feeling of what you desire, the more you believe it is on the way. Don’t force it and don’t push it. 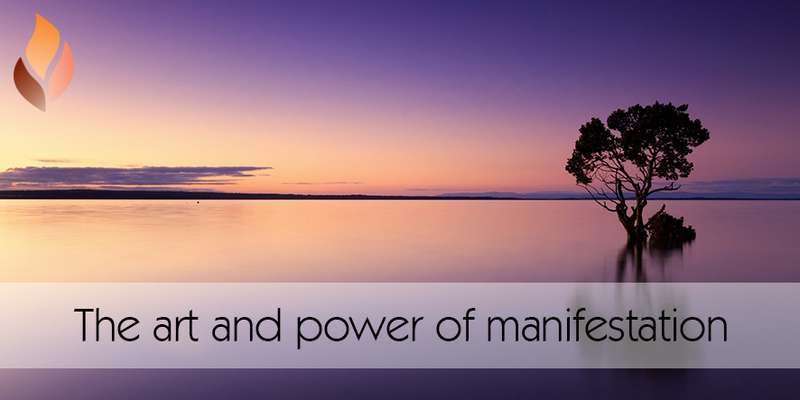 Let you intention manifest naturally and without anxiety or impatience. Trust in the process.